Readers will recall that, in an unexpected development, Treasury assessed and DOJ Tax sued to collect the 50% FBAR penalty against Carl Zwerner for four years. Up to that point, based on the information publicly available (principally from offshore account plea convictions), Treasury had only assessed a single FBAR of 50% for the highest year. Thus, it was of considerable interest -- and angst -- to taxpayers and practitioners that Treasury would assert 4 years of FBAR penalties. I discuss this in my prior blog on the filing of the case. U.S. Civil Suit for 4 Years of Willful Penalty of 50% Per Year (Federal Tax Crimes Blog 6/14/13), here. Zwerner has filed his answer, here, which states his side of the story, albeit in summary fashion. 1. At the key time of his reputed voluntary disclosure in 2008, Zwerner was represented by "a tax attorney, Dennis Kleinfeld, of the then reputable law firm Rothstein Rosenfeldt & Adler, P.A. (“RRA”)." Notice the words "then reputable." See Wikipedia entry on Scott W. Rothstein here, and paragraph 5 of the compliant quoted below. Mr. Kleinfield's current law firm bio is here. I understand that Mr. Kleinfeld referred Zwerner to Mark Nurik who represented Zwerner before the IRS. 4. On February 10, 2009, the RRA lawyers met with IRS Criminal Investigation Division (“CID”) to go over the voluntary disclosure. On February 17, 2009, IRS CID issued a letter stating that no criminal action would take place, but the identity of the client had not been disclosed at the February 10, 2009 meeting. Nurik then advised Zwerner that his voluntary disclosure had occurred and he should file the amended returns for tax years 2004 – 2006. As instructed by his lawyers in March 2009, Zwerner immediately filed the amended tax returns and the FBARs for 2004, 2005, and 2006, and paid the tax and interest owing. As narrated, Zwerner's prior tax counsel did not complete the voluntary disclosure by identifying Zwerner to CI and making a full disclousure. Instead, he told Zwerner to do a quiet disclosure by filing amended returns. The implication and allegation is that Zwerner had no reason to question whether his tax counsel was giving good advice and that Zwerner reasonably believed and took affirmative objective steps to implement a voluntary disclosure. Yesterday, I participated in a conference at Villanova University School of Law. See Villanova Seminar on Selective Issues in Tax Administration (Federal Tax Crimes Blog 8/31/13), here. I was on a panel on Tax Sentencing along with Kathy Keneally (DOJ Tax AAG), Caroline Ciraolo (practitioner), Peter Hardy (practitioner), Steve Chanenson (Law Prof at Villanova U), Scott Schumacher (Law Prof at University of Washington). One of the issues we discussed is the lower sentences that seem to prevail in the offshore accounts sentencings over since offshore prosecutions became a priority for DOJ Tax. For example, the U.S. Sentencing Commission reports that, in fye 2012, from a total of 608 sentencings where tax was the lead charge, the median sentence was 12 months and the average sentence was 17 months. From the data I have compiled in my spreadsheet for offshore account prosecutions, I show median incarceration of 1.0 months and mean incarceration of 13.7 months. (The mean figure is driven principally by a small set of outlier cases with high sentences.) The differences are dramatic. One cannot explain these taxpayer-favorable results in any theoretical way. Offshore tax cheating is not intrinsically less culpable than onshore tax cheating. So what explains the taxpayer favorable results for offshore cheating? One of the participants at the panel said that 5K1 departures may explain some or much of the taxpayer-friendly results. 5K1 departures, here, are Guidelines sanctioned downward adjustments to the sentence level or sentence based on substantial cooperation with the Government. It is true that, in the early phases of an initiative this large with multiple bank and enabler targets, the early pleaders (most taxpayers in the offshore initiative), the taxpayers have a lot to offer the Government in terms of prosecuting or threatening to prosecute offshore banks and their enablers. But, the Government is surely less dependent on criminal targets given the sheer number of voluntary disclosures requiring that the participants name the offshore banks and their enablers and cooperate with Government investigations of those banks and enablers. The thought was that, because of the phenomenon that is accelerating that information about the banks and enablers is increasingly available from other sources, the Government is going to offer fewer and fewer 5K1 departures. The suggestion was that, if 5K1 departures account in material part for the taxpayer-friendly sentences, we can expect that sentences will begin to be less taxpayer friendly. I am not convinced, however, that 5K1 departures really account for the phenomenon. The Supreme Court's decision in Booker v. United States gave district judges increased discretion in sentencing defendants convicted in federal courts. Statistics recently released by the United States Sentencing Commission demonstrate that judges have been exercising that discretion and sentencing more defendants below the applicable Guidelines ranges. The trend is especially stark in criminal tax cases. In the fiscal year ending September 30, 2012, only 36.9 percent of defendants convicted of tax offenses were sentenced within the applicable Guidelines range, and the vast majority of sentences below the Guidelines were predicated on defense motions with the resulting sentences falling substantially below the Guidelines. While the majority of defendants convicted of tax offenses are now receiving below Guidelines sentences, both the percentage of defendants convicted of tax offenses receiving some jail time and the average period of incarceration imposed have increased in the post-Booker era. In my recent New York Law Journal article, "The Promise of ‘Booker’ Revisited," I discuss these statistics, as well as data reflecting the IRS's shifting enforcement priorities in this era of limited resources. My article may be viewed here. JAT Note: First, thanks to Jeremy for his excellent article. I highly recommend it to readers. Second, this afternoon, I will be participating in a sentencing panel at Villanova University Law School on sentencing in tax cases. I probably will separately blog on some interesting sentencing matters from the panel and will incorporate some of Jeremy's excellent discussion. I highly recommend his article to readers. One way to assess the impact of Booker on tax sentences, is to compare both rates and length of incarceration of the 605 defendants sentenced during fiscal 2012 in cases in which a tax violation was the primary offense charged with those of the 480 tax defendants sentenced during fiscal 2003, the last full year before the Supreme Court’s decision in Blakely v. Washington, which struck down Washington State’s guidelines regime and served as a precursor to Booker. On first blush, the resulting data suggests that tax defendants have not benefited from Booker: the percentage of tax defendants who received some period of incarceration rose from 56.7 percent in 2003 to 64.3 percent in 2012, while the percentage of tax defendants who received probationary sentences with no element of confinement dropped from 21.3 percent in 2003 to 19.5 percent in 2012. Moreover, the median sentence imposed on all defendants convicted of tax offenses increased from eight months in 2003 to 12 months in 2012, and the median sentence imposed on defendants who received some period of incarceration went from 12 months in prison in 2003 to 18 months in prison in 2012. The key background is that the tax loss levels were lowered for tax crimes, meaning that it took less tax loss to achieve a higher base offense level that, under the Guidelines calculations, means that the offense level for the sentencing table was often higher in 2012 for the same amounts of tax loss. Yet the sentences were not worse. That means that the judges are less comfortable that the Guidelines calculations are well calibrated for tax offenses. This is a large issue and was discussed briefly by Steve Chanensen yesterday at the Villanova Seminar on Selective Issues in Tax Administration (Federal Tax Crimes Blog 8/31/13), here. He was particularly concerned with whether the fraud Guidelines work and noted the parallel to economic loss for the fraud Guidelines and the tax Guidelines. Apparently, the Commission is studying whether the role of economic loss should be mitigate to some extent and other relevant factors of culpability given more prominence. Maybe that will lead to a discussion of the tax Guidelines as the Commission continues its work. But I think it may be hard to give tax loss such prominence as a driver in tax sentencing if economic loss is lessened for fraud sentencing. I recently posted on this blog a series of examples that I think highlight some perhaps unintended consequences in the inside (miscellaneous or in lieu of) penalty in OVDI/P, particularly as a result of interpretations that result in inequity. See Elimination of Duplications and Short Term Deposits in Miscellaneous Penalty Base - FAQ 37 and Extrapolations (Federal Tax Crimes Blog 9/10/13), here. Have you been able to exclude from the OVDI/P penalty base temporary funds parked in a foreign bank account? By temporary, I mean that the funds are in the account only for a day or two and did not earn any interest. The funds came from fully U.S. tax compliant sources and went to a fully U.S. tax compliant destination after the temporary stop in the noncompliant foreign account. Readers who can and will answer that question, please do so in the ways indicated above. If possible, the reader asking this question would prefer to be able to establish contact with the readers providing answers (via emailing me), but if the authors desire anonymity, they can still provide meaningful feedback by making comments to this blog. As I note in the comments below, there was no basis in the normal judicial doctrines of res judicata and collateral estoppel to prevent the taxpayer from asserting that the tax was less than stipulated in the plea agreement. And, apparently this plea agreement was not specific that it was intended to contractually bind the taxpayer to the amounts -- even as minimum amounts -- in any subsequent civil tax case. So something else would have to apply if the taxpayer were going to be bound. Moreover if Mirando was allowed to proceed in this action, he would gain an unfair advantage. By pleading guilty to tax evasion and specifically agreeing to a total tax liability of $448,776.13, Mirando avoided the possibility of a longer sentence and the United States agreed not to prosecute Mirando's ex-wife or two children. After obtaining this benefit from the United States, Mirando cannot turn around and sue the United States for a refund. Kathryn Keneally, assistant attorney general for the Justice Department Tax Division, said that banks will be required to provide information about transactions involving the accounts held by U.S. individuals, including transfers at the time an account was closed. "We see this as a way to follow the money for account holders who chose to move their money to other jurisdictions," Keneally said. "This will let us know where the money went and where to look next." This requirement also means that Swiss banks will be providing the United States with information about other banks that received transfers from the U.S. accounts, Keneally said. She said those banks should evaluate whether to come forward on their own or to bear the risk of having another bank tell the U.S. government what they have done. The background, highly summarized, is that one James Haber was a promoter of a tax shelter in which the taxpayer, an LLC treated as a partnership, participated. I cannot say that I am familiar with the particular shelter involved, but I am familiar with Haber's tax shelter activity. He was long a subject and perhaps a target of the major tax shelter probes and prosecutions in SD NY (those probes, some of which involved Haber shelters, included the KPMG, E&Y and Daugerdas / Jenkens probes beginning in the early to mid-2000s). For some reason never known to me, Haber was never prosecuted despite the fact that he was at the center of shelters that were prosecuted against others. The BB&T STARS transaction was in effect for nearly five years, from August 1, 2002 through April 5, 2007. The purpose of the STARS transaction was to generate large-scale foreign tax credits for a U.S. taxpayer, which could be used to enhance revenue and reduce taxes in the United States. The amount at issue in this case, including the potential assessment of taxpayer penalties, is $772,144,153.45. This amount is comprised of the following: disallowed foreign tax credits ($498,161,951); disallowed interest deductions ($74,551,947.40); the tax paid on "Bx" payments from Barclays to BB&T ($84,033,228.20); disallowed transaction cost deductions ($2,630,125.05); and penalties ($112,766,901.80). The complexities of the STARS transaction, including the concept of a Bx payment, will become apparent below. Stripped to its essence, however, STARS called for the U.S. taxpayer, in this case BB&T, to establish a trust containing approximately $6 billion in revenue-producing bank assets. The monthly revenue from the trust was then cycled through a U.K. trustee, an act that served as a basis for U.K. taxation. Although the revenue was immediately returned to BB&T's trust, the assessment of U.K. taxes generated U.K. tax credits that were shared 50/50 between Barclays and BB&T. A $1.5 billion loan from Barclays to BB&T also was part of the structured transaction, although the loan was not necessary to the objective of generating foreign tax credits. The Barclays monthly Bx payment to BB&T represented BB&T's share of the tax credits, and had the effect of reducing the interest cost of BB&T's loan. The main question presented is whether the STARS transaction had any purpose other than to generate tax savings, and if not, whether penalties should be assessed against BB&T. In United States v. Phillips, ___ F.3d ___, 2013 U.S. App. LEXIS 18430 (7th Cir. 2013) (en banc), here, the Seventh Circuit reversed convictions under "18 U.S.C. § 1014, which criminalizes 'knowingly mak[ing] any false statement ... for the purpose of influencing in any way the action of' any specified private and public entity that provides, or regulates the provision of, financial services; among the entities are federally insured banks." The charged misconduct, as submitted to the jury, was lying on the loan application signed by one of the defendants and submitted to a lender which blatantly exploited so-called "liar's loans" -- stated income loans without regard to whether the income was correctly stated because the loans would then be packaged as securities, thus transferring the risk of default from the nominal lender to unwitting investors. (This genre of loan was at the center of the financial crisis starting in 2008.) There is no question that, on an objective level, the information in the loan application the signing defendant signed and submitted to the bank was incorrect. The defendants wanted to show, however, that based on the information they received from the loan broker, the information requested used terms of art (e.g., the stated income of the applicant could include the income of other persons who will contribute to servicing the loan) and hence they (1) did not make false statements at all and certainly did not knowingly do so for the purpose influencing the loan. The trial judge excluded the testimony. The Seventh reversed in an opinion by Judge Posner. We take up the issue of influencing first, and then the issue of knowing falsehoods. Suppose you're an actress and you habitually subtract three years from your true age because you're worried about movie producers' discriminating against aging actresses. You're 40 but pretend to be 37. You know the bank doesn't care whether you're 40 or 37—you're wealthy and the bank is eager to have you as a customer—but you don't like your true age to appear on any document; a bank employee might read it and discover the lie and post his discovery on Facebook or Twitter, and within hours the whole world would be privy to your secret. You would have made a knowingly false statement on your bank application by listing your age as 37, and rather than just pinning the application to your wall you had submitted it to the bank. Under the district judge's interpretation of section 1014—an erroneous interpretation that warped the trial in this case—you would be guilty of a felony punishable by a prison sentence of up to 30 years and a maximum fine of up to $1,000,000. What is true is that if you make a knowingly false statement intending to influence a bank, it's no defense that you didn't succeed in influencing it or even that you couldn't have succeeded. Materiality is not an element of the offense punished by section 1014. United States v. Wells, 519 U.S. 482, 484, 117 S. Ct. 921, 137 L. Ed. 2d 107 (1997); United States v. Lane, 323 F.3d 568, 582-83 (7th Cir. 2003). But it is relevant. If the loan applicant doesn't think his falsehood would influence the bank it is unlikely that in making it he intended to influence the bank; as in our example of the actress, he would have had a different motive. As the Supreme Court explained in Wells, "a statement made 'for the purpose of influencing' a bank will not usually be about something a banker would regard as trivial, and 'it will be relatively rare that the Government will be able to prove that' a false statement 'was ... made with the subjective intent' of influencing a decision unless it could first prove that the statement has 'the natural tendency to influence the decision.' Hence the literal reading of the statute will not normally take the scope of § 1014 beyond the limit that a materiality requirement would impose." United States v. Wells, supra, 519 U.S. at 499 (emphasis added), quoting Kungys v. United States, 485 U.S. 759, 780-81, 108 S. Ct. 1537, 99 L. Ed. 2d 839 (1988). Janet Novack, In Reversal, IRS Gives Amnesty To Owners Of Secret Israeli Bank Accounts (Forbes 9/19/13), here. I just have time to post it for readers to review by going to the link. I am going into my UH Law Tax Procedure Class and then from there to a book club. I probably will have time to post something tomorrow. I previously reported the charging and arrest of Glafira Rosales. See links below. The USAO SDNY has announced her plea agreement. See press release here. (The press release has a link to the superseding indictment.) Her case is an outlier case (outlier with respect to those involving only tax crimes including use of offshore banks to facilitate the tax crimes). Far more extensive criminal activity was charged, with the tax and related FBAR crimes seemingly there for flavor. Indeed, she pled to so many counts -- 9 in all, with several 20 year counts each -- that it is clear that the Guidelines sentencing range will likely not nearly reach the maximum 99 years permitted by the number of counts (and for that reason, the number of counts may be viewed as immaterial to sentencing; probably one 20-year count would have sufficed for the sentence she is likely to receive, with all other noncharged activity considered anyway as relevant conduct or grouped to produce the needed sentence, with a downward variance likely in any event). Preet Bharara, the United States Attorney for the Southern District of New York, announced that art dealer GLAFIRA ROSALES pled guilty today in Manhattan federal court to participating in a scheme to sell more than 60 fake works of modern art to two New York art galleries. Her victims paid more than $80 million for the fake works. ROSALES also pled guilty to conspiracy to sell the fake works, conspiracy to commit money laundering, money laundering, and several tax crimes related to the fake art scheme. ROSALES was an art dealer who, starting in 1994 and continuing through 2009, sold more than 60 never-before-exhibited and previously unknown works of art (the “Works”) that she claimed were by the hand of some of the most famous artists of the twentieth century, such as Jackson Pollock, Mark Rothko, and Robert Motherwell. She sold the Works to two prominent Manhattan art galleries for approximately $33.2 million. The galleries, in turn, sold the Works to victims of ROSALES’s crime for more than $80 million. The Works were fakes created by a painter (the “Painter”) who resided in Queens, New York. ROSALES conspired with her long-time companion, identified as a co-conspirator (“CC-1”) in the superseding Indictment, to procure and sell the Works and to launder the proceeds of the fraud. CC-1 first met and befriended the Painter in Manhattan in the 1980s while the Painter was painting on the street. The Painter, who received formal art training at an art school in New York, created the Works for ROSALES and CC-1 at the Painter’s home in Queens. In some instances, the Painter signed the purported artist’s name to the Works, such as Jackson Pollock, but in other cases, CC-1 applied the false signatures. After ROSALES and CC-1 retrieved the Works from the Painter, CC-1 gave the Works the false patina of age by subjecting the Works to a number of different treatments. The provenance that ROSALES supplied for the Works was also false. In selling some of the Works, she purported to represent a particular client who was associated with Switzerland, had inherited the paintings and wanted to sell them, but also wished to remain anonymous (the “Purported Swiss Client”). For the remainder of the paintings, ROSALES purported to represent a Spanish collector (the “Purported Spanish Collector”). She further claimed that a portion of the price paid by the Manhattan galleries would be a commission to her for selling the paintings and that the remainder would be passed along to her clients. In truth and fact, the Purported Swiss Client never existed and the Purported Spanish Collector never actually owned any of the Works. It is reported that Ty Warner (Wikipedia entry here), the mega-wealthy Beanie Baby creator, will plead to tax evasion charges related to offshore bank activity. The criminal information is here. The USAO NDILpress release is here. What caught my eye was his agreement to pay $53.5 million in FBAR penalties, which is the largest FBAR penalty that I am aware of. For an early news report, see Becky Yerak, Ty Warner to pay $53M to settle tax evasion charges (9/18/13), here. The news report indicates that the amount is the standard 50% of high balance during the relevant time period, but does not state what the relevant time period is. The only bank account mentioned in the report is $93.6 million, so that apparently is not the high balance for the 50% FBAR penalty. The $93.6 million was the amount in the UBS account when it was transferred to ZKB..
“The charge alleges that Warner went to great lengths to hide from his accountants and the IRS more than $3.1 million in foreign income generated in a secret Swiss account,” Gary Shapiro, U.S. attorney for the Northern District of Illinois, said in a statement. He failed to pay taxes of $885,300 for calendar year 2002, court documents said. “By omitting his UBS income, Warner falsely reported his total income in 2002 was $49.1 million,” according to the charge. JAT Comment 1: The Government did get a plea to evasion, a 5 year felony, rather than tax perjury, a 3 year felony, as it was offering earlier in the criminal prosecution side of the overall offshore bank initiative. Readers will recall that the Government was offering a defendant a plea with one count of FBAR violation (5 years) or 1 count of tax perjury (3 years). Of course, the courts are sentencing anywhere near the maximum, so it probably is irrelevant in terms of sentencing and, given Mr. Warner's age and wealth, an evasion plea as opposed to the other crimes is not likely to be particularly troubling to him. JAT Comment 3: But then his reported net worth is $2.6 billion, so in terms of real world punishment, well not much. He is probably more concerned with the public embarrassment than the cost of his behavior. It would appear that for real punishment of the mega-wealthy a penalty keyed to the net worth should apply (if higher than the normal FBAR penalty; then, depending upon the amount, there could be some real punishment rather than just a nuisance). Of course, if he gets some serious incarceration period -- which is what the Guidelines will indicate -- then there may be some real punishment. But, the courts have been notoriously lenient in sentencing, at least for persons not so wealthy as Warner (and is earlier colleague among the mega-rich, Olenicoff). In some criminal tax cases, the Sentencing Guidelines calculations are simple. The Base Offense Level is determined under the tax loss table. S.G. § 2T1.1, here, and § 2T4.1, here. If there are specific offense characteristics, under S.G. §2T1.1, they are applied (upward adjustments). The only other adjustment is often the acceptance of responsibility adjustment in § 3E1.1, here, which is usually the incentive to plead rather than go to trial. (Note that, because of the relevant conduct inclusion in the tax loss, it is often no incentive to get counts dropped via the plea agreement.) Usually, in tax cases, the defendant will not be able to qualify for the § 5K1.1, here, downward adjustment for substantial assistance. So, setting aside § 5K1.1, qualifying for the acceptance of responsibility adjustment is very important, otherwise the defendant might as well go to trial in which, even with low odds, he or she may still win. In United States v. Workman, 2013 U.S. App. LEXIS 19053 (6th Cir. 2013), here, the defendant pled, securing in the plea agreement the prosecutors commitment to recommending acceptance of responsibility.and requesting a substantial assistance downward departure. The Court granted the prosecutor's request for a 4 level downward departure, but denied the defendant the acceptance of responsibility downward departure. The resulting Guideline offense level was 12 which, under the Sentencing Table, here, indicates a guidelines range of 10-16 months . The Court then varied downward further (presumably under § 3553(a) / Booker) from the Guidelines range and sentenced the defendant to six months in prison. The defendant objected to denial of acceptance of responsibility which, if he had achieved it, would seemingly have given him a pre-§ 5K1.1 downward departure offense level of 13 (3 level acceptance decrease), which in turn would have given him a post-assistance 4-level downward departure offense level of 9, with an indicated sentencing range of 4-10 months, but in Zone B rather than Zone C. All of that is to say that the sentencing court gave this defendant a lot of breaks that probably substantially mitigated any effect of the denial of acceptance of responsibility, but still the acceptance of responsibility, if given, might have affected the sentence. In determining whether a defendant has accepted responsibility, the district court may consider whether the defendant truthfully admits or does not falsely deny "any additional relevant conduct for which the defendant is accountable under § 1B1.3 (Relevant Conduct)." USSG § 3E1.1, comment. (n.1(A)). Although "a defendant is not required to volunteer, or affirmatively admit, relevant conduct beyond the offense of conviction in order to obtain a reduction . . . , a defendant who falsely denies, or frivolously contests, relevant conduct that the court determines to be true has acted in a manner inconsistent with acceptance of responsibility." Id. Because "[t]he sentencing judge is in a unique position to evaluate a defendant's acceptance of responsibility . . . , the determination of the sentencing judge is entitled to great deference on review." USSG § 3E1.1, comment. (n.5); see United States v. Webb, 335 F.3d 534, 538 (6th Cir. 2003). On the sufficiency issue, the Court of Appeals first noted the elements of tax evasion: "(1) willfulness; (2) existence of a tax deficiency; and (3) an affirmative act constituting an evasion or attempted evasion of the tax." I have highlighted the bone I want to pick. The tax due that the Government will use to support a tax evasion prosecution is not necessarily the unpaid civil tax due. To illustrate, assume that, for civil tax purposes, the taxpayer had $100,000 income that he or she failed to report. Assume that the tax liability on that omitted income is $35,000. The $100,000 omitted income consists of two items -- $50,000 of embezzlement income which the taxpayer knew was taxable and chose not to report and $50,000 of personal injury income which the Government is satisfied that the taxpayer thought or could have reasonably thought was excludable under § 104 but which for technical reasons is not properly excludable under that section. In calculating the tax evaded as an element of tax evasion, the Government will compute the tax only on the $50,000 of embezzlement income and will not include the $50,000 of personal injury income. So, let’s say the tax on $50,000 of embezzlement income is $17,500. The criminal tax number for establishing tax due and owing in a criminal case is $17,500. The Government must prove that number beyond a reasonable doubt. I recently blogged On Harmless Error (9/9/13), here, in which I linked to Professor Turley's blog titled Ninth Circuit Reverses Federal Judge Who Ruled That False Statement Of Prosecutor In Closing Argument Was Harmless (Jonathan Turley Blog 9/9/13), here. There is another nontax case I call to readers attention, United States v. Clay, 720 F.3d 1021 (8th Cir. 2013), here. For purposes of this analysis, we assume without deciding that the Government used perjured testimony and knew or should have known it was perjured. Clay argues that the district court misapplied the standard for assessing prejudice to the defendant from the use of false testimony. The Supreme Court has established that, for cases under direct review, "a conviction obtained by the knowing use of perjured testimony is fundamentally unfair, and must be set aside if there is any reasonable likelihood that the false testimony could have affected the judgment of the jury." United States v. Agurs, 427 U.S. 97, 103 1976) (footnote omitted). According to Clay, the district court incorrectly assessed "reasonable likelihood" in this case by examining the sufficiency of the evidence in light of the corrected testimony. Cf. Kyles v. Whitley, 514 U.S. 419, 435 (1995) (holding that prejudice for a general Brady withholding violation can be demonstrated "by showing that the favorable evidence could reasonably be taken to put the whole case in such a different light as to undermine confidence in the verdict," even if the evidence taken as a whole might still have [*1026] been sufficient to support a conviction). We agree with Clay that the Agurs standard for evaluating the materiality of the Government's knowing use of perjured testimony is less onerous to the defendant than a sufficiency of the evidence test, and less onerous even than the standard of materiality for a general Brady violation. See Rosencrantz v. Lafler, 568 F.3d 577, 587 (6th Cir. 2009) (observing that the materiality standard for false testimony is "lower," "more favorable to the defendant," and "hostile to the prosecution" as compared to the standard for a general Brady withholding violation (quoting Gilday v. Callahan, 59 F.3d 257, 267-68 (1st Cir. 1995))). The proper materiality standard, however, is only part of the equation. We also must consider whether harmless-error review is appropriate. On habeas review, as here, constitutional violations that are categorized as "trial error" generally are "amenable to harmless-error analysis." Brecht v. Abrahamson, 507 U.S. 619, 629 (1993). "Trial error 'occur[s] during the presentation of the case to the jury,' and . . . it 'may . . . be quantitatively assessed in the context of other evidence presented in order to determine [the effect it had on the trial].'" Id. (quoting Arizona v. Fulminante, 499 U.S. 279, 307-08 (1991)). In contrast to trial error, "'structural defects in the constitution of the trial mechanism' . . . —deprivation of the right to counsel, for example—require automatic reversal of the conviction because they infect the entire trial process." Id. at 629-30 (quoting Fulminante, 499 U.S. at 309) (footnote omitted). The Ninth Circuit yesterday affirmed the conviction of Barry Bonds, the ball player (Wikipedia here). United States v. Bonds, 730 F.3d 890 (9th Cir. 2013), here. Bonds was convicted of obstruction of justice under the "omnibus clause" of 18 USC, Section 1503, here. Section 1503's omnibus clause is the "source" for the tax obstruction omnibus clause in Section 7212(a), here. See John A. Townsend, Tax Obstruction Crimes: Is Making the IRS's Job Harder Enough, 9 Hous. Bus. & Tax. L.J. 255, 268-280 (2009), here. Hence, I write on the Bonds' affirmance because the interpretations of Section 1503 will apply to tax obstruction under Section 7212(a). Barry Bonds was a celebrity child who grew up in baseball locker rooms as he watched his father Bobby Bonds and his godfather, the legendary Willie Mays, compete in the Major Leagues. Barry Bonds was a phenomenal baseball player in his own right. Early in his career he won MVP awards and played in multiple All-Star games. Toward the end of his career, playing for the San Francisco Giants, his appearance showed strong indications of the use of steroids, some of which could have been administered by his trainer, Greg Anderson. Bonds's weight and hat size increased, along with the batting power that transformed him into one of the most feared hitters ever to play the game. From the late-1990s through the early-2000s, steroid use in baseball fueled an unprecedented explosion in offense, leading some commentators to refer to the period as the "Steroid Era. "1 In 2002, the federal government, through the Criminal Investigation Division of the Internal Revenue Service, began investigating the distribution of steroids and other performance enhancing drugs ("PEDs"). The government's purported objective was to investigate whether the distributors of PEDs laundered the proceeds gained by selling those drugs. The government's investigation focused on the distribution of steroids by the Bay Area Laboratory Co-operative ("BALCO"), which was located in the San Francisco Bay Area. The government raided BALCO and obtained evidence suggesting that Anderson distributed BALCO manufactured steroids to Bonds and other professional athletes. The government convened a grand jury in the fall of 2003 to further investigate the sale of these drugs in order to determine whether the proceeds of the sales were being laundered. Bonds and other professional athletes were called to testify. Bonds testified under a grant of immunity and denied knowingly using steroids or any other PEDs provided by BALCO or Anderson. The government later charged Bonds with obstructing the grand jury's investigation. After a jury trial, Bonds was convicted of one count of obstruction of justice in violation of 18 U.S.C. § 1503. He now appeals. We affirm the conviction. On December 4, 2003, Bonds testified before the grand jury under a grant of immunity pursuant to 18 U.S.C. § 6002. The immunity order stated that "the testimony and other information compelled from BARRY BONDS pursuant to this order . . . may not be used against him in any criminal case, except a case for perjury, false declaration, or otherwise failing to comply with this order." The grand jury thereafter charged Bonds with several crimes, including obstruction arising from his testimony before the grand jury. The jury convicted, "finding on the verdict form that Statement C was misleading or evasive." While I have not studied the amended convention in detail, I suspect that the opportunities to enlist other countries in the collection of U.S. taxes and resulting judgments will be significant. Now, of course, that does not address whether the FBAR penalty would be subject to this convention. I have not looked at that issue and, when I do, I will report my conclusions (but don't know when that will be). Swiss Bank Rahn & Bodmer, here, has admitted that it has been advised that it is under DOJ criminal investigation and therefore is excluded from the recently announced settlement regime. See UPDATE 1-Another Swiss private bank under U.S. tax investigators' spotlight (Reuters 9/11/13), here. For a prior blog on the settlement, see DOJ Tax Announcement on U.S. Swiss Deal (8/29/13; Updated 8/30/13), here. However, Rahn said he did not believe his bank was being investigated as a result of data passed on by other banks as it had stopped accepting undeclared U.S. assets in 2008 and advised clients with such assets to make voluntary disclosures to the U.S. authorities. "It is difficult to evaluate whether being in the first group of banks is better for us or not," he said. Any readers care to comment? It is the oldest bank remaining in the German-speaking part of Switzerland after St. Gallen-based Wegelin shut its doors earlier this year following an indictment and fine by U.S. authorities for conspiring to help U.S. clients evade taxes. Q. If a taxpayer transferred funds from one unreported foreign account to another during the voluntary disclosure period, will he have to pay a 27.5 percent offshore penalty on both accounts? A. No. If the taxpayer can establish that funds were transferred from one account to another, any duplication will be removed before calculating the 27.5 percent penalty. However, the burden will be on the taxpayer to establish the extent of the duplication. Example 1: Taxpayer has 2 foreign accounts that are income tax noncompliant - FAC1 at FB1 and FAC2 at FB1. In 2009, the Taxpayer deposits $100,000 into FAC1 and, one day later pursuant to instructions at the bank upon the deposit, the bank transfers the $100,000 to FAC2 at the same bank, FB1. FAC1 earns $-0- interest on the temporary deposit of $100,000 (the banks rules require that a deposit stay for 7 days before interest is earned) and FAC2 earns $5,000 interest on the longer-term deposit of $100,000. (Note FAC1 is income tax noncompliant because of other deposits.) According to FAQ 37, in calculating the OVDI/P miscellaneous / in lieu of penalty base (inside penalty without opt out, which I hereafter call the miscellaneous penalty), the "duplication" is eliminated. The way I have done that in the past is to eliminate the duplication amount in FAC1, the temporary account, and include it in FAC2. Either way, of course, since both accounts are noncompliant, the elimination of the duplication has the same effect on the aggregate penalty base for the year. But it is logical to exclude it from FAC1 because there is no income tax noncompliance with respect to the $100,000. Example 2: Same Example except that FAC2 is at a different bank, FB2. The result is the same. Again, the bottom line effect on the penalty base for the year is the same whether the elimination of the duplication occurs in FAC1 or FAC2. Example 3: Same Example except FAC2 (the destination account) is income tax compliant. In this case, there is no duplication. Is the temporary deposit in FAC1 included in the miscellaneous penalty base? Technically, this situation does not fit FAQ 37. 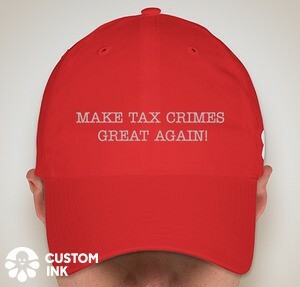 In federal criminal cases, including tax crimes cases, where error occurred at the trial level an appellate court will nevertheless affirm on the rubric that the error was harmless. To get a sense of how often I have discussed harmless error in this blog, just search on "harmless error" -- the search is here. Trials, particularly lengthy or complex trials, are error-laden. The overwhelming number of the errors are in any practical sense harmless in the sense that they do not affect the outcome of the trials. I tell students that I have never seen a perfect trial -- or error free trial. Mistakes are made by all -- the judge and counsel. What we can realistically expect is that, at least in most cases (in criminal contexts, hopefully, the overwhelming majority of the cases), is fair trials and results the public can have confidence in. I suppose that the harmless error drill is how appellate courts differentiate fair from unfair trials and results and avoiding the endless retrials (at least until there is an acquittal in a criminal case) if any error required reversal and retrial. But, as readers surely suspect, the "harmless" conclusion is in the eye of the beholder. Jonathan Turley has a good blog this morning on the harmless error issue. Ninth Circuit Reverses Federal Judge Who Ruled That False Statement Of Prosecutor In Closing Argument Was Harmless (Jonathan Turley Blog 9/9/13), here. I commend it to readers of this blog. While in the case Professor Turley discusses, it does seem to me that the error was not harmless. Still, others did see it differently which is why it reached the court of appeals in the first place. A revenue agent from the United States of America’s Internal Revenue Service (IRS) says she has uncovered evidence that the CIBC FCIB branch in the Turks and Caicos Islands was one of many in the Caribbean used by wealthy American citizens to hide money. In documents filed in the United States District Court for the Northern District of California, San Francisco Division, Cheryl Kiger, said that during her investigation she interviewed a wealthy American taxpayer who controlled three different business accounts and one personal account at CIBC FCIB in the Turks and Caicos Islands. Those interested should read the article. The key point for present purposes is that it is one thing for a U.S. person to have an account in a foreign bank -- say in Switzerland, the Cayman Islands and other usual (and unusual) suspects -- it is another to weave a web of deception with nominal entities which are nothing more than fronts to hide tax evasion. I think the Government recognizes that because the overwhelming number of prosecutions involve such nominal -- OK, the word is sham - entities. U.S. persons -- commonly called in my profession U.S. taxpayers (although, in this context, nontaxpayers) -- need to pay attention to these developments. If nothing else, the civil statute of limitations for tax, penalties and interest for this conduct is forever. I previously reported on the CIBC FCIB John Doe Summons. See John Doe Summons Issued to Wells Fargo for Records of CIBC FirstCaribbean International Bank Correspondent Account (Federal Tax Crimes Blog 4/30/13), here. A former high ranking TVA official, Masoud Bajestani, pled to "single count of conspiracy to violate the International Emergency Economic Powers Act and two counts of filing false income tax returns." Dave Flessner, Ex-TVA executive pleads guilty to sending money to Iran in violation of U.S. sanctions (timesfreepress 9/5/13), here. I am treating this as an outlier case -- in the sense that it is outside the mainstream of the criminal cases under the current offshore account initiative. The characteristics of the mainstream cases are criminal tax misconduct using offshore accounts which, in turn, caused the FBAR violation. Here, the gravamen of the case is the transfer of money to Iran in violation of U.S. sanctions. On Wednesday, a superseding indictment added seven counts to Bajestani's charges. Charges now involve conspiracy, violations of the economic sanctions, filing false tax returns and others. Penalties range from three to 20 years. Still the tax charges seem to be an outlier to the major offenses. I found no indication that foreign accounts were the issue, but I suspect that there had to be foreign accounts of some sort, perhaps in the name of a family member. If anyone knows, please post a comment. Early In IRS criminal tax investigations, it is not uncommon for the target (usually the taxpayer) to receive a surprise visit from two IRS CI special agents either at his home or his office with a request for an interview. The IRS will read the target his modified Miranda warnings required for noncustodial interrogations. (More robust Miranda warnings are required for custodial interrogations.) The target is advised that he is not required to answer the questions and may consult a lawyer. The question that has occupied courts' attention is what use the Government may make at trial of the target's conduct in that interrogation. What if the target formally invokes his Fifth Amendment? Can the Government use that at trial? What if the target, without formally invoking his Fifth Amendment, asks to consult with a lawyer? Can the Government use that response at trial. What if the target simply refuses to answer the questions without asserting the Fifth Amendment or requesting to consult with a lawyer? This opinion addresses Okatan's challenge to the government's use of evidence that Okatan asked to speak to a lawyer when a border patrol agent initiated an interview prior to his arrest. We conclude that use of this evidence in the government's case in chief violated Okatan's rights under the Fifth Amendment. Because we further conclude that the error was not harmless beyond a reasonable doubt, we VACATE the judgment of the district court and REMAND the case for further proceedings consistent with this opinion. The border patrol agent observed some unusual -- I guess, to him, suspicious -- activity by Okatan. The agent then asked Okatan to explain the unusual activity. Okatan gave a not implausible explanation, but one that, under the circumstances the border patrol agent apparently did not believe. The border patrol agent warned Okatan that "lying to a federal officer is a criminal act" and then began to question Okatan. "Okatan said that he wanted a lawyer. At that point, Boucher placed Okatan under arrest and transported him to the Champlain border patrol station." Okatan was subsequently charged and tried for an immigration violation. At trial, Okatan moved to suppress all statements to the border patrol agent. The district court suppressed all statements after Okatan asked for a lawyer. Then, during trial, the border patrol agent recounted the circumstances of the arrest, testifying specifically that Okatan had said that he wanted a lawyer. Okatan's counsel objected and was overruled. In closing argument, the prosecutor mentioned the request for a lawyer. Okatan's counsel objected again and was overruled. I offer this morning two news reports I recommend to viewers needing the daily fix on Swiss developments. Giles Broom, Swiss Bankers' Odier Sees U.S. Tax Spat Resolved by 2015 (Bloomberg 9/3/13), here. Patrick Temple-West and Kevin Drawbaugh, Offshore tax-dodger dragnet widens with U.S.-Swiss bank deal: lawyers (Reuters 9/3/13), here. Swiss banks apologize for assisting tax cheats (CNBC by Reuters 9/3/13), here. In my comments, I refer to these articles in shorthand as Bloomberg, Reuters and CNBC, respectively. 3. The banker predicted that Swiss banks will reach final settlements by 2015, a 12-18 month process. 4. The 14 banks not covered by the settlement regime because they are already under criminal prosecution may be able to settle their situations prior to 2015. (Bloomberg article.) JAT Note: Of course, the expected cost of settlement will be greater. 5. A key part of the settlement deal will to be to identify so-called "leavers" -- U.S. depositors who moved their funds to other banks to continue to hide them. (Reuters article.) I previously noted that the U.S. was keenly interested in leavers moving among Swiss banks as the U.S. focused on those with sufficient U.S. nexus to purse, in the hopes that some banks could protect them if they had no U.S. nexus. The Reuters article indicates that the U.S. is now keenly interested in where the money went outside Switzerland. With that data required under the settlement regime, the U.S. can target the more egregious offenders in other countries and bring the long arm of U.S. law (or power) to bear. 6. With regard to these leavers, Scott Michel, here, a prominent player, said (Reuters article): "Moving your money around to avoid disclosure is clear evidence of criminal intent." JAT Note: Those players who are at high risk of being identified in the process should join the program (and, likely, not opt out). 7. The Bloomberg article says that "Since 2009, the U.S. has prosecuted 68 account holders and more than 30 banking professionals for offshore tax crimes." Actually, my list in the spreadsheet indicates 90 account holder charges (I call them taxpayer charges), but 7 of those were charged prior to 2009. I think DOJ Tax may have propagated the number of 68, but I can't account yet for the difference between that number and my spreadsheet. I will try to work on that sometime later this week and post an updated spreadsheet. I previously expressed concern as to whether tax restitution ordered incident to sentencing could be fine-tuned in subsequent IRS administrative proceedings if it appeared to the amount of the tax restitution were too high. See Tax Restitution and Doubt As to Amount (Federal Tax Crimes Blog 7/10/13), here. I was concerned that the new statute permitting immediate assessment of tax restitution and precluding contesting same would foreclose adjustments downward. As a consequence, I urged, in imposing tax restitution the sentencing court should err on the side of caution to insure that the tax restitution amount is not too high. In the case discussed, the IRS agent had indicated during the sentencing phase that adjustments might be made later in the civil phases. A taxpayer cannot challenge the amount of court-ordered restitution at a CDP [Collection Due Process] hearing. A district court's final order cannot be modified by challenging the amount of ordered restitution at a CDP hearing. Also, I.R.C. § 6201(a)(4) prohibits collateral attacks on a restitution order in a subsequent legal and administrative proceeding under the Internal Revenue Code, of which a CDP hearing is an example. Furthermore, a challenge to the amount of restitution in a CDP hearing is prohibited under I.R.C. § 6330(c)(4) because the criminal tax case itself is considered a prior judicial hearing on that issue in which a taxpayer meaningfully participated. I won't attempt now to dissect the reasoning of the author. I just note that the conclusion is a major warning about dangers that may lurk in restitution proceedings. I would hope that counsel -- both government and defense -- and the courts will be sensitive to the issue and do the work necessary to insure that tax restitution does not overstate the tax liability. The Service's assessment of the amount of restitution ordered by a federal district court does not, however, prevent the Service from assessing civil penalties and tax liabilities on top of the criminally ordered restitution if the amount of restitution is less than the defendant's total tax liabilities for that same period. See Helvering v. Mitchell, 303 U.S. 391(1938) (holding that Congress may impose both a criminal and a civil sanction in respect to the same act or omission); Morse v. Commissioner, 419 F.3d 829, 833-35 (8th Cir. 2005) (holding that despite a federal criminal case against the same taxpayer resulting in a sentence the taxpayer pay a fine and make restitution to the Service, the doctrine of res judicata did not apply to preclude a civil fraud penalty assessment on a tax deficiency because criminal prosecution for filing false income tax returns did not involve same cause of action as civil tax deficiency case). Cf. United States v. Helmsley, 941 F.2d 71, 102 (2d Cir. 1991) ("It is true that the government may pursue a tax evader for unpaid taxes, penalties and interest in a civil proceeding. However, we believe it is self-evident that any amount paid as restitution for taxes owed must be deducted from any judgment entered for unpaid taxes in such a civil proceeding."). In other words, the restitution amount is a floor and not a ceiling with respect to the tax period at issue. n4 Although the amount of a restitution may not be the actual amount of the taxpayer's full tax liability for that tax period under Title 26, the Service will effectively treat the amount of restitution as the minimum tax liability for the relevant tax period by assessing it "as if such amount were such tax" for that period. Section 6201(a)(4)(A). n4 The tax or penalty liabilities determined by the Service in excess of the amount ordered as restitution are not an assessment of the restitution ordered by a federal district court. Accordingly, section 6201(a)(4)(C) does not prohibit a taxpayer from challenging in any judicial or administrative proceeding under the Code those tax or penalty determinations that are in excess of the amount ordered as restitution. For example, if a taxpayer is ordered to pay $100,000 in restitution for the tax period ending 20XX and the Service determines pursuant to a subsequent examination that the taxpayer has an additional unpaid tax liability of $20,000 and is subject to a section 6663 fraud penalty of $90,000 for that same period, section 6201(a)(4)(C) does not prohibit the taxpayer from challenging the $20,000 additional tax liability and the $90,000 fraud penalty, but does prohibit the taxpayer from challenging the $100,000 amount of restitution determined by the federal district court and assessed by the Service. Inconsistent verdicts are tolerated in the federal criminal system. For example, if the defendant is charged with two crimes and guilt of the second crime requires or at least assumes guilt of the first, then acquittal of the first count will not require reversal of a guilty verdict on the second count. But everyone recognizes that that tolerance for inconsistent verdicts needs to be narrowly prescribed, and in the context presented here, should not be encouraged. In United States v. Moran-Toala, ___ F.3d ___, 2013 U.S. App. LEXIS 16605 (2d Cir. 2013), here, the Second Circuit held that, where the district court in its instructions to the jury in effect sanctioned inconsistent verdicts, the inconsistent guilty verdict must be reversed. The situation in Moran-Toala may be summarized as follows: The defendant was charged with narcotics conspiracy and with conspiracy to exceed authorized access to a government computer in furtherance of the narcotics conspiracy. (Yes, the second is a crime, however oddly worded; for convenient reference I refer to this as the computer access conspiracy count) The defendant was acquitted of the narcotics conspiracy count but found guilty of the computer access conspiracy count. If that is all that occurred, there would be no reversible error because of the law, noted above, that consistency between and among verdicts is not required. But, that is not all that occurred. During its deliberations, the jury asked the judge whether consistency between the verdicts was required. The judge answered that question no, although he struggled with the answer. As you might suspect, the Government wanted a victory at all costs and thus wanted the no answer; the defendant wanted a win at all costs and, apparently suspecting that the question indicated the jury believed that the Government had overcharged the case, wanted a yes answer to the question. At the Government's insistence, the Court answered the question no -- in essence telling the jury that it could render inconsistent verdicts. That answer is, of course, the law.